I'm not getting anything in return for doing this giveaway, but it looks such a great event and the price is very fair, so I'm more than happy to promote it! Set in the centre of Liverpool at St Luke’s “Bombed-Out” Church at the top of Bold Street (one of Liverpool's most iconic Heritage sites), Winter Wonderland is a 4 week long spectacular which should create a Christmas Grotto visit to remember forever. 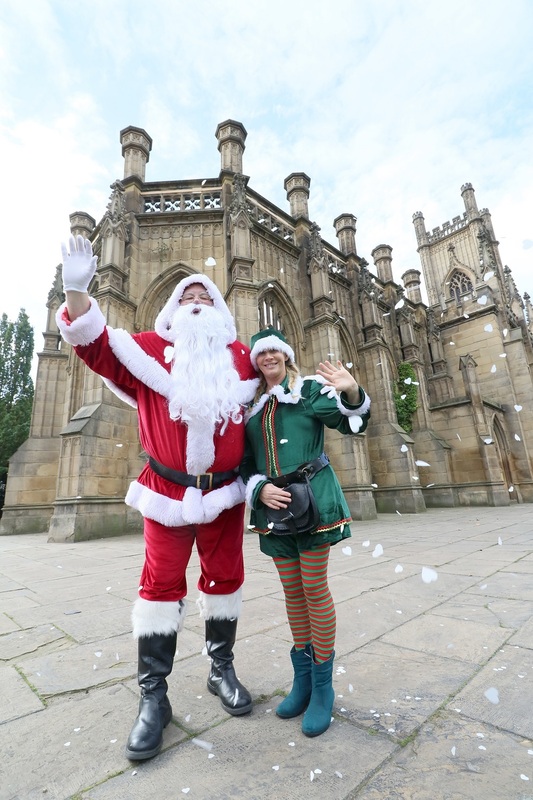 Winter Wonderland at St Luke’s “Bombed-Out” Church will take place from Saturday 1 December and Sunday 23 December 2018. Sessions are available to pre-book now. 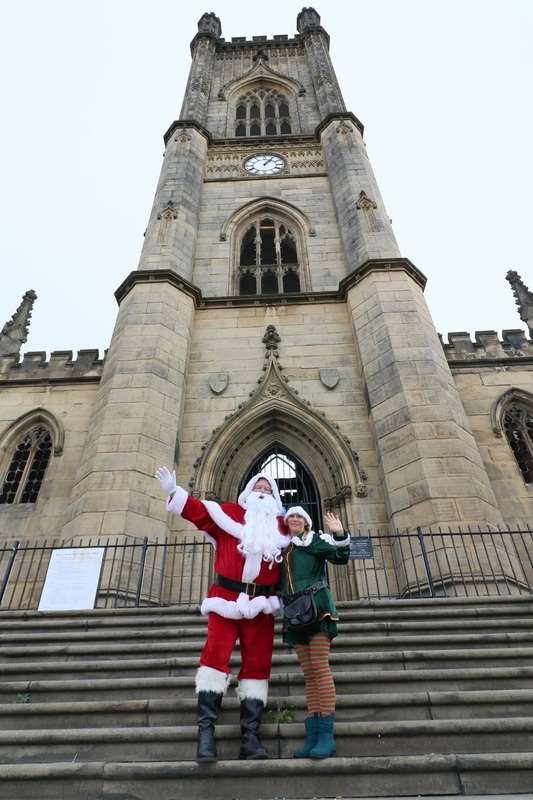 Fondly known as the ‘Bombed-Out’ Church, St Luke’s is one of Liverpool’s best loved heritage sites and the inside will be transformed into a Winter Wonderland. Families will take part in a whole host of festive activities, including meeting the big man himself. Tickets are booked in advance for a 2 hour timeslot and there is plenty included to keep anyone busy. Children will visit Santa's Workshop, where they can make their own bauble or Christmas card to take home. There are art sessions at Mrs Claus’s Art Studio and storytelling in Storyland with festive characters. There is a Silent Disco for burning off some energy and then learn how to be an elf in the Elf Workshop. No Christmas event would be complete without the all-important trip into Santa’s Grotto. All children will receive a gift suitable for their age (0-4yrs, 5-8yrs & 8+) and a framed, digital photograph with Santa to take home. Adults don't miss out on all of the fun - they get a hot drink and mince pie, which I'm sure will be most welcome. The grounds of St Luke’s will be transformed throughout the Christmas period and will be open to the public free of charge. Highlights for December include luxury food and drink outlets, Christmas market, artisan stalls selling specialised gifts and under cover areas with live entertainment. 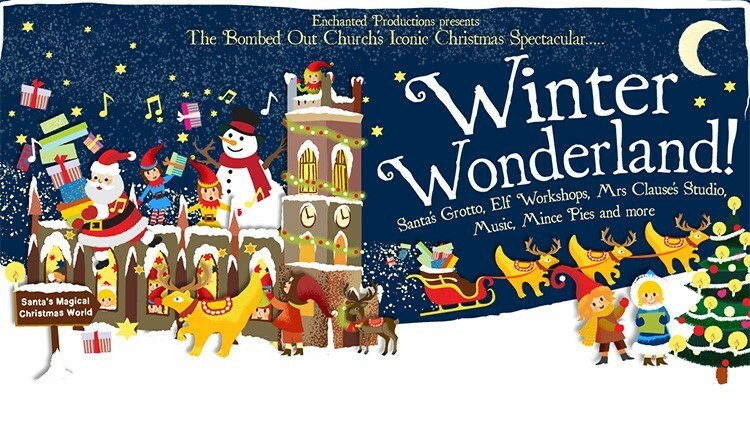 Tickets for the Winter Wonderland at St Luke’s “Bombed-Out” Church are available to pre-book now through Ticketquarter. Keep up to date with availability and updates by following on Facebook or Twitter and check out the St Luke's Bombed Out Church website for more information or to see what else they have on offer. EARLY BIRD TICKET OFFER: Quote SANTA1 when booking for a 20% discount for the first 2 weeks of on-sale. This will be valid for sessions booked for the first 2 weeks of December only (excluding weekends). Advice: Please ensure you keep to your time slot and arrive 15 minutes early to be briefed on the fun stuff. I'm delighted to have a family ticket worth £59.99 to give away to one of my readers for a family of 4 to attend the Winter Wonderland Grotto on either 3rd, 4th or 5th December. Entry to the giveaway is by the Gleam form below for reasons of fairness. None of your information will be passed on or stored unless you are drawn as the random winner, in which case we'll use it to check your entries and arrange your tickets. No entry is mandatory, but each extra task completed will earn extra entries into the random draw. Full terms and conditions are at the bottom of the Gleam form. I haven't experienced Liverpool's Winter Wonderland at St Luke's, so I can't review it for you, but it sounds lovely. I hope everyone who attends has a great time! I didn't ask for anything in return for this post and giveaway. We used to go to the grotto in Lewis’s every year, what a fabulous place! the Santas grotto in the local shopping centre, thinking back now nothing grand or expense but still magical as a child. For me it was our local garden centre! It still feels magical when I visit even as a grown up! Blacklers in Liverpool was magical. New York. I was accidentally left by my family alone for the second time in 1992.
we used to go to the Co-OP too! In the 80's there was a shop in Penzance called Parkers - they had the most amazing grotto! The parish church where we did carols. We spent a Christmas in Vegas a few years ago which was a fantastic experience.